It’s no secret that special operations involve a lot of intelligence gathering. Often, as in the famous raid that resulted in the death of Osama Bin Laden, that means grabbing physical hardware, such as drives and computers. In the “tip of the spear” kinds of quick in and out missions of the SOF, that is proving to be not so practical. Photo: © US Special Operations Command. Display a summary of what has been collected from a target device. 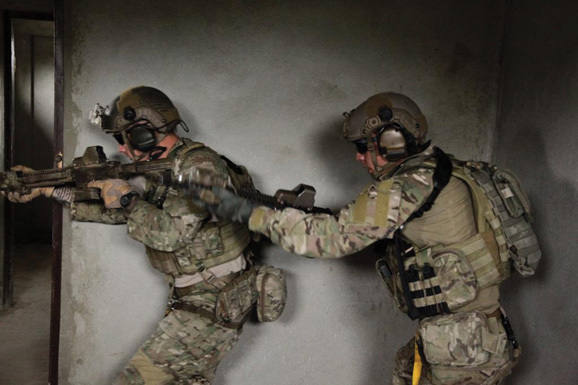 That’s a tall order that could save Special Operators a lot of time and energy. The device should also be designed so that the more time a commando has to use it, the deeper it could go and the more detailed information it should be able to retrieve, including recovering encrypted files, files that have been moved to alternate locations, examine all file content for data of interest, extract memory device characteristics, identify unknown file types and correlate to installed applications, and extract file and user-created metadata. The RFI for “Next Generation Tactical Document and Media Exploitation” closed on 19 November, and USSOCOM said all of those vendors invited will be notified by 5 December 2014. In February, vendors will be required to deliver five “fully functional devices and associated items for technical assessment,” according to the RFI. Vendors will be expected to train USSOCOM testers so they can operate them during the assessment, scheduled for 17–27 March. Vendors will not participate in the actual events conducted jointly by USSOCOM and the Joint Interoperability Test Command, but may be asked to address questions or issues by phone or e-mail during the evaluation, according to the RFI.